On occasion of Andritz’s Annual General Meeting which is also the World Water Day, Save the Tigris campaign, a coalition of nongovernmental organizations from Iraq, Iran, Turkey sent a letter to Andritz’s CEO Wolfgang Leitner regarding its involvement in the construction of the Ilisu Dam in Turkey; a controversial project which has failed to comply with basic international law. The open letter was signed by 4447 Iraqis and received the support from other dam affected communities from Chile, Indonesia, Spain, Turkey, and support from the international community in Italy, UK, the US who endorsed Iraqi demands to stop supplying equipment for the dam construction until compliance with international law and treaties is assured. Andritz has contracts for 330M Euros in Brazil controversial Belo Monte dam, 340M Euros in Turkey’s Ilisu dam, and 340M Euros in Laos’s Xayaburi dam. All these projects have negative human rights impacts on people and the environment. In the letter, the coalition demands, first, that Andritz abide by its Code of Business Conduct and Ethics, expressly its sections describing compliance with laws, regulations and customs, environmental protection and sustainability. Second, that Andritz respects international law and suspends any supply of equipment for Ilisu dam immediately until an independent study can be conducted on its social, economical and environmental consequences. Part of this study, in accordance with environmental impact assessments around the world, should be dedicated to analyzing how to minimize the impact of the dam to the Iraqi people. 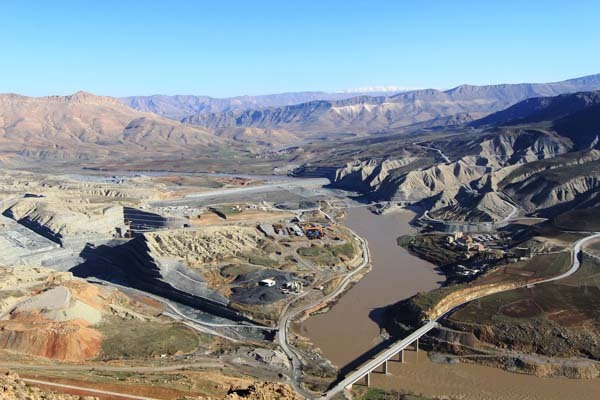 Third, the coalition urges Andritz to engage with the Turkish government to re-initiate dialogue with riparian states that will ensure an equitable sharing of the waters of the Tigris. Fouth, the demand that further studies be conducted on how to minimize the impact of the dam on the Iraqi people and environment. The Ilisu Dam is the largest hydroelectric power plant planned by the Turkish government. It is a key part of the large-scale regional development project, the Southeastern Anatolia Project (GAP), in the southeast of the Republic of Turkey. This dam is being built without the Environmental Impact Assessment (EIA) required by Turkish law and will displace up to 78,000 people in Turkey and thousands more will be affected in the downstream countries like Syria and Iraq. Moreover it will destroy biodiverse ecosystems and violate the economical, social and cultural rights of the people in Turkey and Iraq. In the past, the Export Credit Agencies of Germany, Austria and Switzerland, suspended the credit guarantee due to the Turkish failure to comply with required environmental, social and cultural heritage conditions. Save Tigris campaign and its partners from Turkey, Iraq and Iran came together because they are deeply concerned about the impacts not only on the cultural and natural heritage along the entire Tigris in the eastern part of Mesopotamia but also on the socio-economic structure of millions of people living downstream. We are determined to use international treaties and protocols, the media and advocacy resources to protect our right to water and to preserve our cultural and natural heritage. The Austrian government, its citizens and the media must take action and join in our demands to stop equipment supply to the dam construction until compliance with international law and treaties is assured.